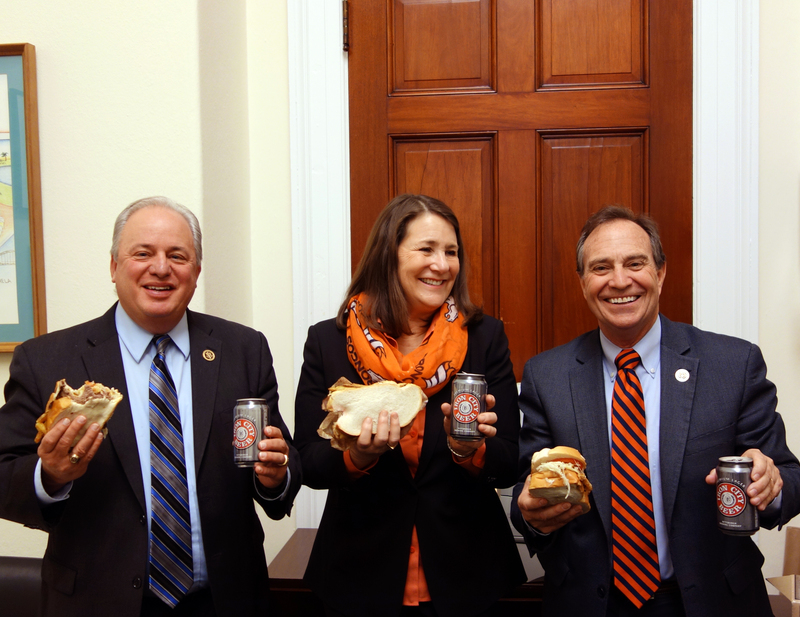 February 3, 2016 -- Representative Doyle hosted Representatives Diane DeGette and Earl Perlmutter and their staffs for a hearty meal of Primanti Bros. sandwiches and Iron City beer to pay off a friendly wager he had made with them over the Steelers-Broncos NFL Playoff game. 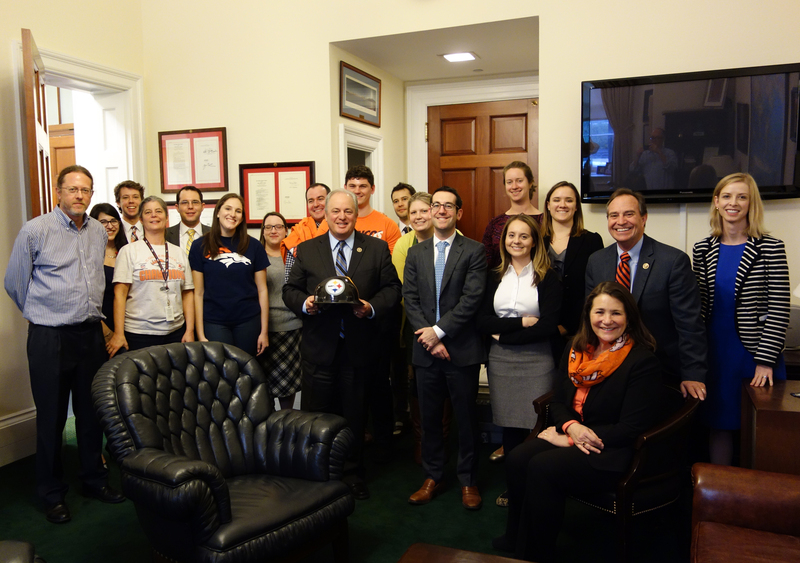 Representatives DeGette and Perlmutter represent Denver, Colorado – the home of the Broncos – in Congress. The Representatives had wagered famous local food over the outcome of the game. If the Steelers had won, Representative Perlmutter would have served Congressman Doyle and his staff steaks and beer from Colorado, and Representative DeGette would have fed the Doyle office tamales and beer. The Denver Broncos beat the Steelers in the January 17 game by 23 to 16.